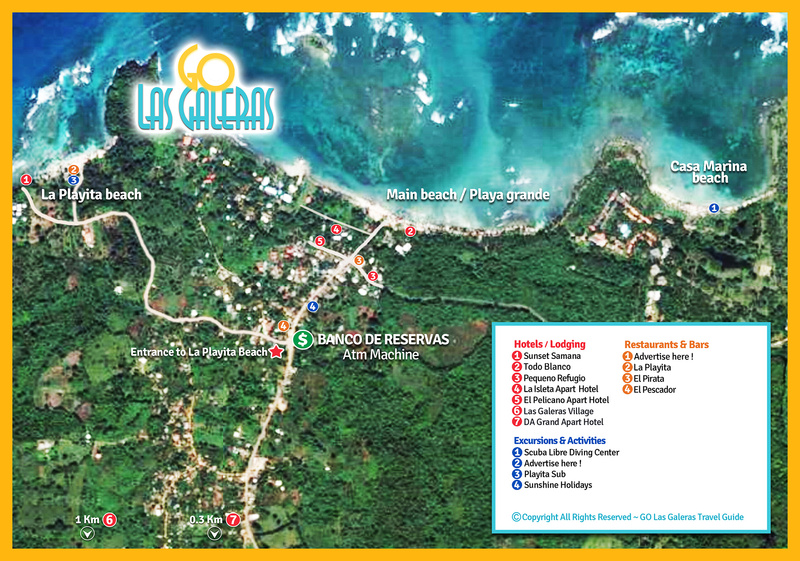 Las Galeras Map - Map of Las Galeras, Detailled Map of the Village of Las Galeras in Samana Peninsula, Dominican Republic. Small Hotels, Restaurants, Terraces with WIFI, Bars, Shops, Apartments, Discos, Shops, Excursions & Tour Operators, Activities, Markets, Banks, and Beaches. Go Las Galeras - No.1 Source of Tourism Information about Las Galeras.